The most widely recognized national workplace expert and author on building ﻿﻿an empowered workforce. Build an empowered corporate culture today! Your company's success depends largely on whether you champion emotional intelligence and empower your team to be their best - aka, being a "No TOT Zone." For more than 20 years, Lynn Taylor has been a leading authority on career success and building productivity in the workplace. In 2018, Lynn reached more than 20 million people with her career advancement and leadership advice. Her bestselling book is a leading resource on mitigating workplace conflict and timeless guide for career success. 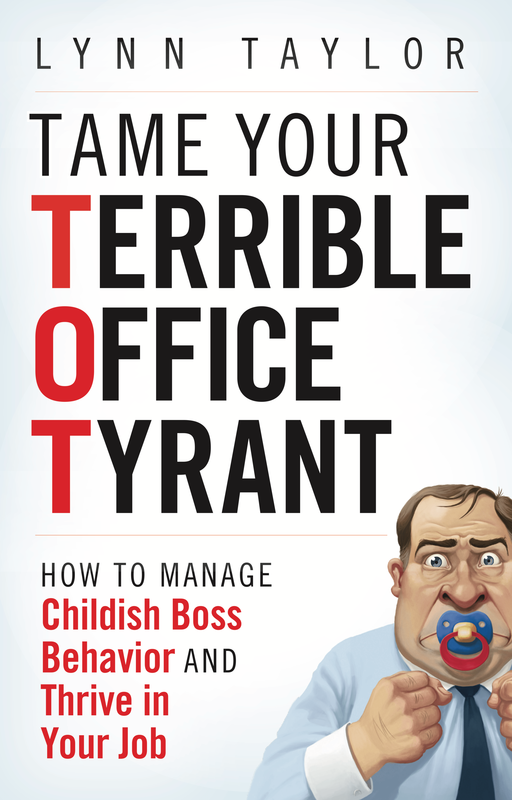 Lynn is the author of Tame Your Terrible Office Tyrant; How to Manage Childish Boss Behavior & Thrive in Your Job, an Amazon bestseller for 10 years. A regular contributor to BusinessInsider and Work blogger for PsychologyToday, she has been featured in: The Washington Post, MSN, Fast Company, Huffington Post, Forbes, Money magazine and Bloomberg/Business; and continues to be a leading authority on all things work. Scroll down for hundreds of news articles on timely career and management topics where Lynn shares her advice. Let Lynn’s 20 years of workplace expertise and executive experience with major corporations help you transform and invigorate your team for visible results. Attract and keep the industry’s best talent? Tap the full potential of your workforce? Master your ability to invigorate your team?